Archimedes wrote about it, Jules Vern theorized about it, and the Nazi's searched for it, and still, it lies comfortably situated in the heart of Downtown Tulsa. It has been called a void in the fabric of space; a space haunted by mystic energy and profound revelations, and yet it is so ordinary that most pass right through it. All of the great scholars and thinkers out there can finally find peace; Tulsa has found The Center of the Universe. In fact, a lot of Tulsan’s have known about it for years. While it may not be the true center of the universe, it is none-the-less, a magical and mysterious place. 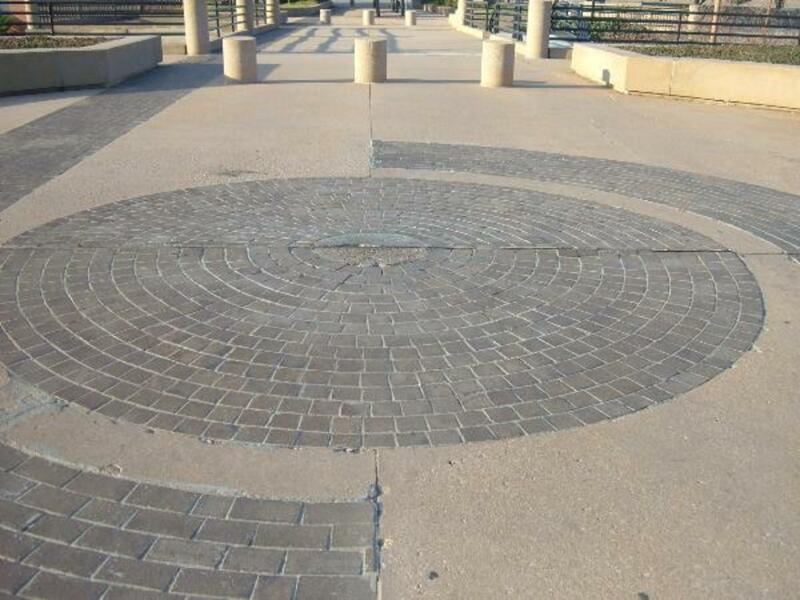 The Tulsa Center of the Universe is a worn concrete circle, approximately thirty inches in diameter, within the middle of another circle made up of thirteen bricks. Overall, the center is a little more than eight feet in diameter. The center of the universe is an acoustic anomaly; when one stands in the center of the circle and makes a noise, that noise is echoed back several times louder than it was made. Imagine dropping a small pin and expecting to hear a tiny “tink” as it hits the floor. Instead, the sound the pin makes is more like the loud crash of a gong. While this in itself is amazing, the truly amazing thing is that no one standing outside of the circle can hear a thing. A foghorn could be going off in the center of the circle, and those on the outside wouldn’t hear it. Or rather, that’s how the legend goes..